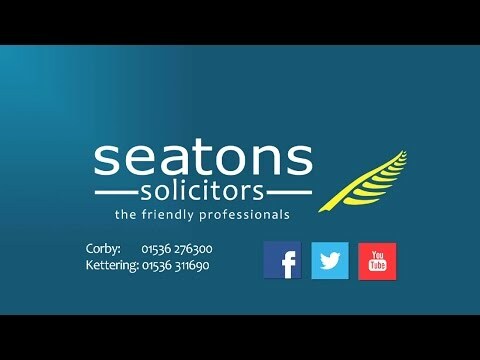 At Seatons, we specialise in Property Conveyancing matters. If you are buying or selling a property then expert legal advice is a must along with knowing what to look for to achieve the cheapest and best value conveyancing quote possible. Why not call us FREE on 0800 3 10 11 12 or contact our Corby office on 01536 276300 or our Kettering office on 01536 311690 or click here to contact us online to discuss buying or selling a property and we will give you our cheapest and best conveyancing quote. Always use a local specialist firm of solicitors who, like ourselves, have years of experience in dealing with legal matters. Use a Local Specialist Solicitor who you feel comfortable with and who speaks plain English, someone you can trust to keep their promises, someone who you can see face to face and who will regularly keep in touch, return phone calls, provide a fast and efficient service, a firm whose clients return to them time and time again, someone who will go the extra mile, someone like us. 3. Don’t Get Caught Out With Hidden Extras on Costs. Make sure that you deal with a firm who provides at the outset, in writing, a clear estimate “with no hidden extras”. Some firms will initially quote you a low fee but then add extras at the end of the legal matter. Some examples of these extras are listed below. If you are obtaining a mortgage to assist you with the purchase of a property, then some solicitors will charge you extra for dealing with the mortgage. We will not charge any extra. Most Solicitors will complete the Stamp Duty Land Transaction Return Form free of charge as part of the overall quote. However, some firms and Licensed Conveyancers will charge extra for this service. We will not charge any extra. If you are arranging your own buildings insurance, independent of your mortgagee, then most firms will check this information for you as part of their quote. However, other firms will charge. We will not charge any extra. Some firms may charge extra if you want to complete a transaction less than ten working days after the date of exchange of Contracts. We will not charge any extra. I’m Gemma McKimmie, head of the Property Conveyancing department at Seatons in Corby. We aim to provide our clients with an outstanding legal service. We can advise on the best and cheapest Conveyancing service.